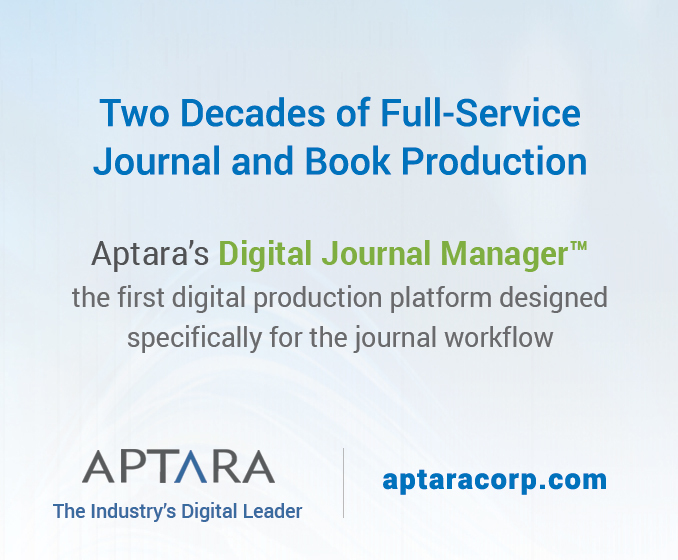 Scientific writings such as journal articles increasingly reside within dynamic science-communication networks containing news releases, blog posts, and more. Thus, greater understanding of such media and greater adeptness with them may serve many science editors and publishers well. Two recently published compact volumes—Handbook for Science Public Information Officers and Science Blogging: The Essential Guide—provide insight and instruction regarding such media. Both books also can be enjoyable reading for those broadly interested in the craft of science communication. Handbook for Science Public Information Officers. W Matthew Shipman. Chicago: University of Chicago Press; 2015. 144 pages. ISBN-13: 978-0-226-17946-9. Handbook for Science Public Information Officers is intended mainly to guide science-communication professionals at universities, government laboratories, and other research institutions in informing lay audiences. Written by W Matthew Shipman, a public information officer at North Carolina State University, this readable book provides practical advice on various aspects of this role. Among the topics discussed are deciding which research to publicize, encouraging and advising scientists in publicizing their work, writing news releases and blog posts, attracting media attention, illustrating stories with photos or videos, using social media in popular science communication, employing metrics to gauge whether communication goals are being met, and communicating in crisis situations. In addition to offering guidance, the book conveys a sense of norms in the science public information field. 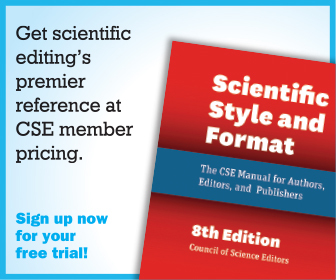 Content in this book may aid different members of the science-editing and science-publishing communities in different ways. 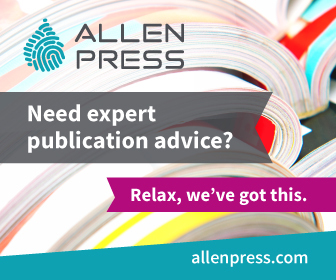 Members providing publicity for journals may find direct application for much of the advice. The book also might assist them in coordinating their work with that of public information officers at authors’ institutions. 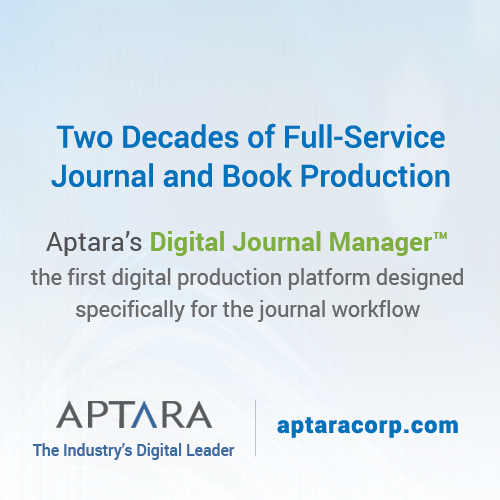 Author’s editors whose activity extends into publication advising may find the book helpful in guiding authors on interacting with public information officers, talking with reporters, and blogging about their work. Science editors whose activities include teaching the communication of science may well find some of the content useful to share. Editors seeking illustrations to accompany text may appreciate the appendix listing government and other websites containing science-related images for potential use. Also, for those thinking of working in science public information, the book provides a sizeable glimpse of common activities and shows one public information officer’s mindset. Science Blogging: The Essential Guide. Edited by Christie Wilcox, Bethany Brookshire, and Jason G Goldman. New Haven: Yale University Press; 2016. 270 pages. ISBN-13: 978-0-300-19755-6. 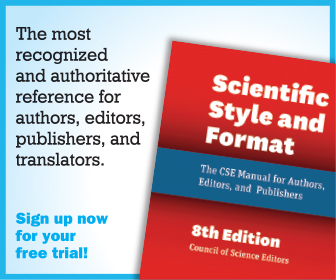 Many mindsets, personalities, and styles enliven Science Blogging: The Essential Guide, consisting of 26 chapters by science bloggers. 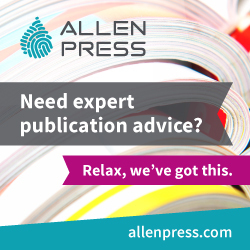 Produced with support from the Alfred P. Sloan Foundation and the National Association of Science Writers, the book includes among its authors such prominent science writers as Carl Zimmer and Ed Yong. Chapter topics range from establishing a blog and developing an audience to ethical considerations, uses of storytelling and science art in blogs, blogging at different career stages, and blogging about controversial topics. 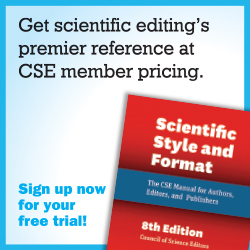 For readers in science editing and publishing, the most useful chapter may be that on institutional blogging, by Karl Bates, director of research communications at Duke University. Among his points: Blogging is a flexible, affordable way to share information with the public; “most blogs thrive on being both frequent and brief”; and although blog posts may be informal in style, having them edited is advisable. Other chapters that may be of particular interest include one on blogging at scientific conferences and one, by public information officer Shipman, on metrics for blogs. Among the blogs by chapter authors, the blog Better Posters (betterposters.blogspot.com), by Zen Faulkes, may especially interest science editors and their constituencies. Inevitably, a book such as Science Blogging is somewhat out of date by the time it appears. However, much of the core guidance seems likely to remain valid, and the skills that make the authors successful bloggers help make the chapters good reading. Also, the book’s companion website (www.theopennotebook.com/science-blogging-essential-guide), which has links to many resources, may serve as a ready venue for updates. 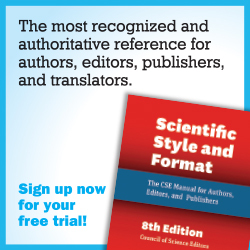 Science editors who oversee blogs at their publications or institutions, who edit blog posts, or who themselves blog may find the book and website interesting and useful. Combined, these two books occupy about 3 cm of one’s bookshelf or a modest amount of memory in one’s e-reader. But they can expand the perspectives and skills of many in science editing and related realms. Such broadening may serve us well as the network of media for communicating scientific research continues to evolve. Barbara Gastel teaches science communication and related subjects at Texas A&M University and is the main contributor to the AuthorAID blog.